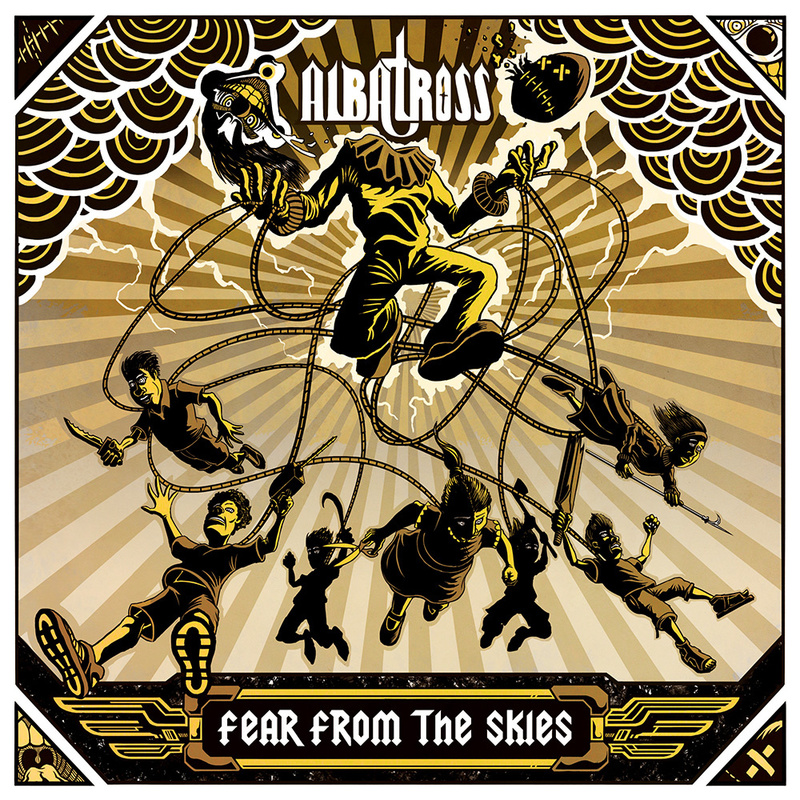 Bombay-based heavy metal band Albatross have released their debut full-length Fear From The Skies. The two songs posted on label Transcending Obscurity show a polished, modern power metal aesthetic with elegant solos and operatic, if at times annoyingly screechy, vocals. As heard on previous efforts, Albatross show promise when they don’t get overly caught up in being a niche, story-telling band. Insistence on this aspect, however, sacrifices the spontaneity and energy of the music, with padded, overlong passages often inserted to let the story concept take seed and bloom. That being said, this still feels like an honest effort on the surface and deserves to be heard in full. Fear From The Skies is available through Transcending Obscurity. Previews can be heard here. But it does sound like a nondescript mish-mash of sounds, it grates but not in a pleasant way. (3) Ambition. Let’s not underestimate that. It’s plain they’ve put a lot of thought into this; it’s not just another tired rehash like a few other old school heavy metal bands coming up around the country. Having said that, they are walking a tightrope and are far more liable to fall flat because they don’t exactly appear to be “heavy metal” fans, if you know what I mean. Yes,I can’t fault their endeavour. But like you said, i think they suffer from an image problem, mostly by way of association. Ambition, yes, but i sometimes feel a leaner and a more streamlined appproach would be to their benefit. But i wonder how it works though, when the guitarists are not on the same page as Riju when it comes to muscial influences, perhaps it is this that comes in the way of people taking this band more seriously than they ought to. why no reviews for latest dying embrace release and shepherd album?